Miss World met participants and performers at the Abu Dhabi F1 Grand Prix ahead of her appearance at the Grand Final of the World Travel Awards in London on Sunday. She will be joined by 120 Miss World contestants at the Awards, before flying back out to Abu Dhabi for a fashion show at the Yas Hotel. 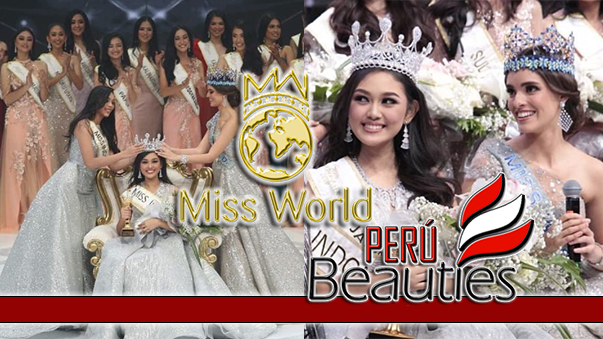 All 120 Miss World finalists will also be making a special guest appearance on the second day of World Travel Market, which takes place in London next week. The Etihad Airways-sponsored F1 event saw world champion Jenson Button secure third place to Red Bull’s Sebastian Vettell, on Sunday. The three-day event, which began on Friday, included a host of celebrities and Middle Eastern royalty and US Secretary of State, Hilary Clinton. Beyonce returned to Formula 1 after her appearance in Singapore, and was joined over the next few days with performances from Kings of Leon, Aerosmith, the Wailers, Jamiroquai and Timbaland. Sports stars included England cricketer Andrew Flintoff and American basketball legend Kareem Abdul-Jabbar, as well as F1 legends Damon Hill and Sir Jackie Stewart. The final fixture of the F1 calendar took place at the purpose-built Yas Marina Circuit, in Abu Dhabi, over the weekend. 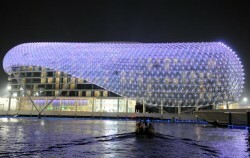 Set half on land and half on water, the 499-room hotel is situated on the Yas Marina and includes 14 restaurants and lounges, rooftop swimming pools and a spa. Its gridshell design is meant to reflect the throw of a local fishing net. The hotel will play host to a series of fashion shows later this month, when all 120 Miss World finalists will be on stage. 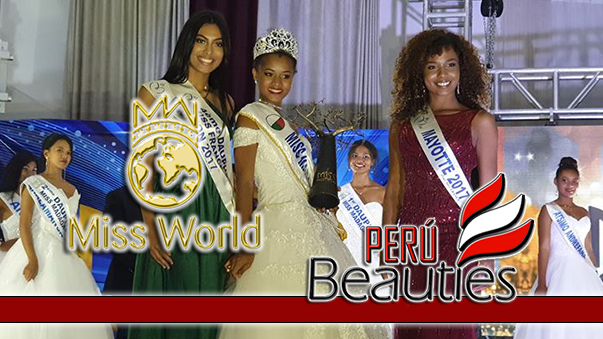 This Miss World finalists will also be at the Grand Final of the 16th World Travel Awards at the London Marriott Grosvenor Hotel this Sunday (November 8). The year-long quest has resulted in more than 3,600 nominees and 183,000 votes to find the very best travel brands in the world. All 120 Miss World finalists will be presenting trophies to individual winners on the night.